Tanya from My Indie Polish hit home with this collection as it's inspired by my home city, Toronto. I've always been a city girl and it's warming to see a collection based around places I'm very familiar with. This 12 polish collection is sure to have something for everyone, along with a wide variety of finishes and colours to chose from. I'm apologizing in advance if this post is rather long, but it's worth it because these polishes are gosh darn beautiful! 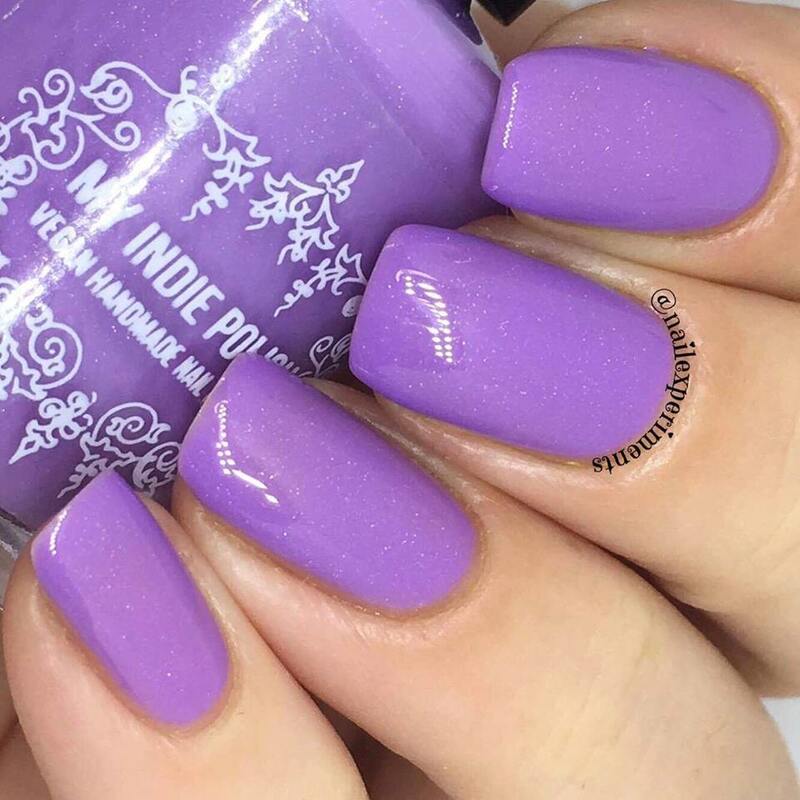 Described as a creamy bright lilac with a bit of holographic. 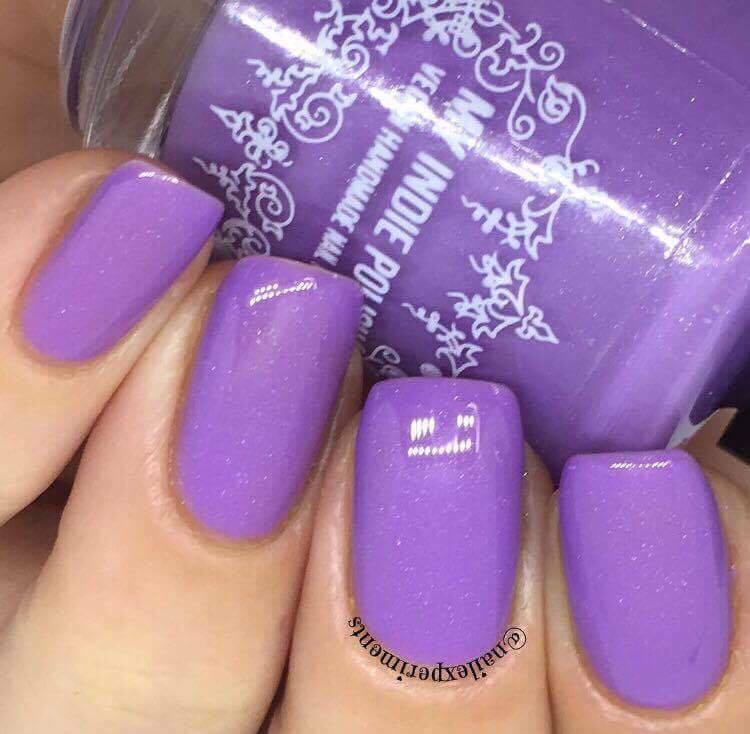 This polish was incredibly smooth, creamy and easy to apply! 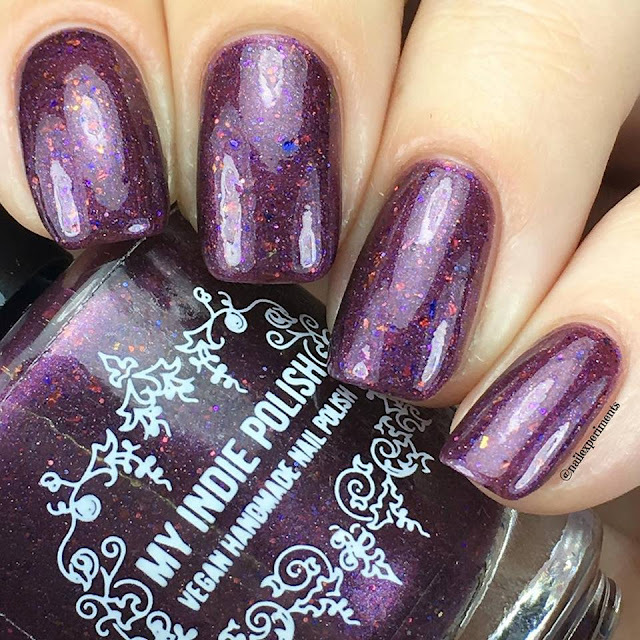 My swatches show this beauty in 2 easy coats and sealed in with a quick dry glossy topcoat. 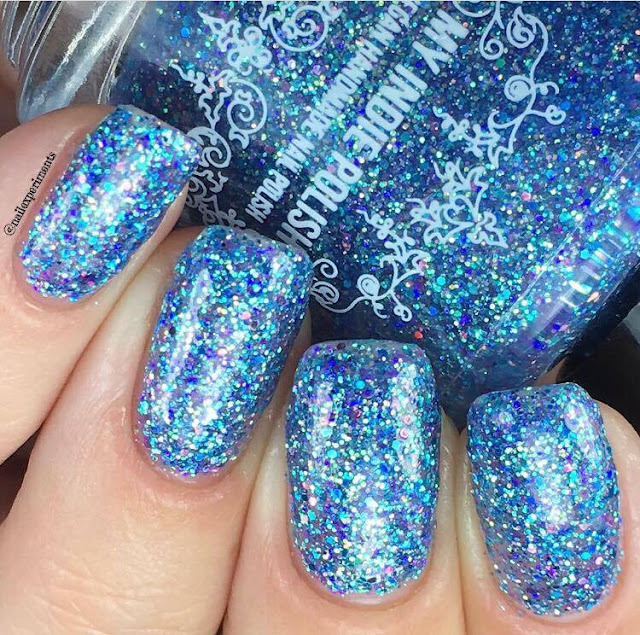 The holographic sparkle is subtle but all while being beautiful! 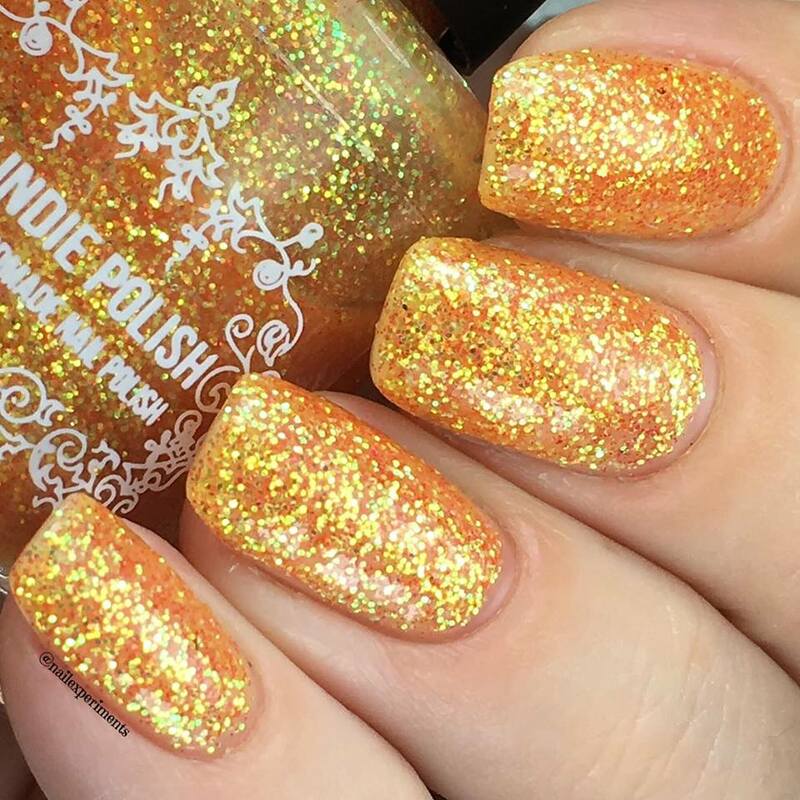 Described as a creamy orange with a bit of holographic. 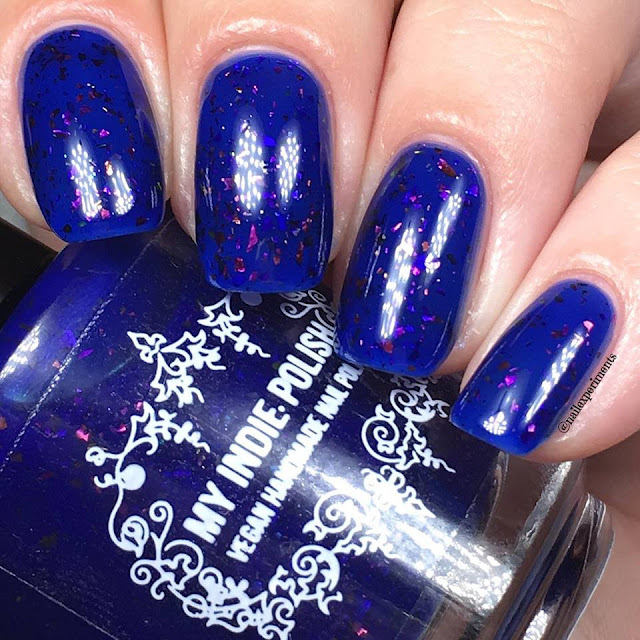 This polish could easily be a one coater, as it provided 98% full coverage within the first coat and am extremely happy with the opacity this polished provided. 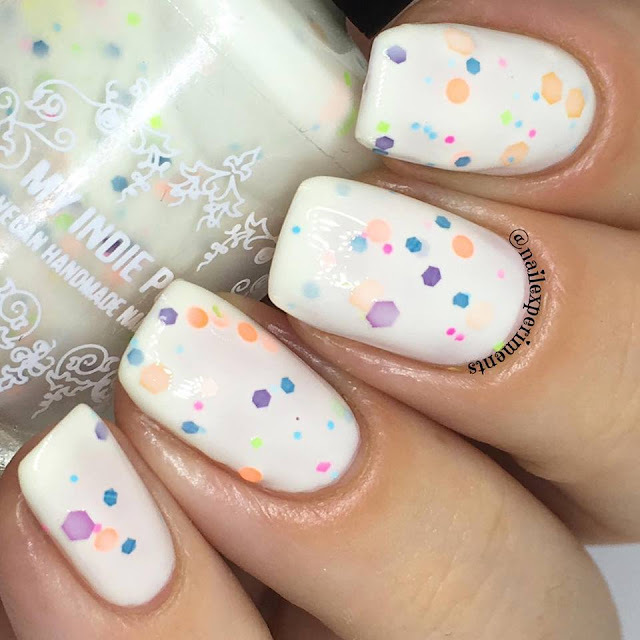 The formula is a dream to work with as it's creamy, smooth, didn't flood the cuticles and everything a creme lover would want in a formula. The holographic glitter is very subtle, but still pretty! 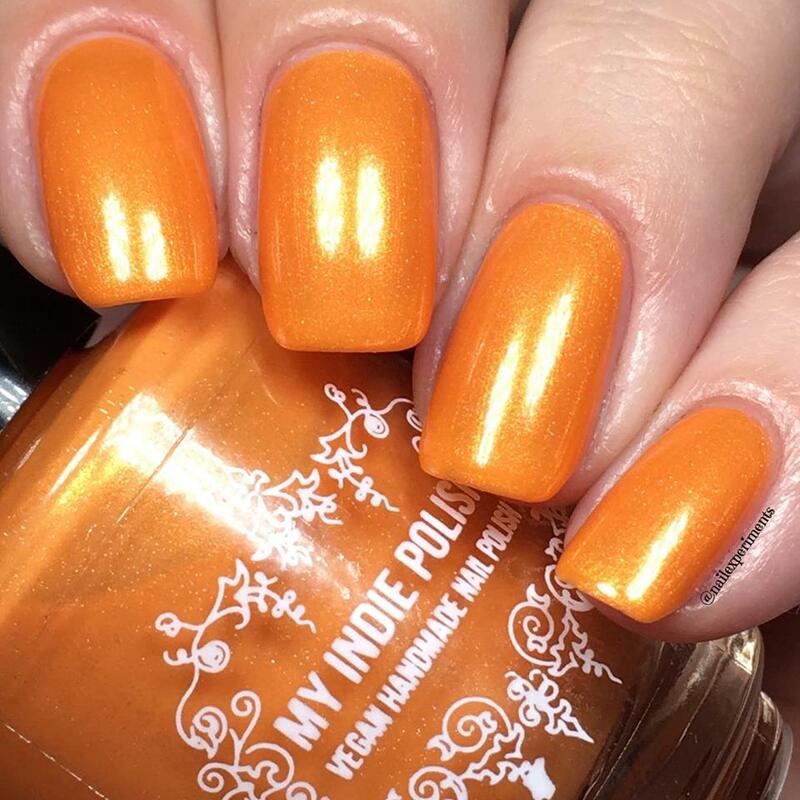 My swatch is shown in 2 easy smooth coats and topped off with a glossy topcoat. 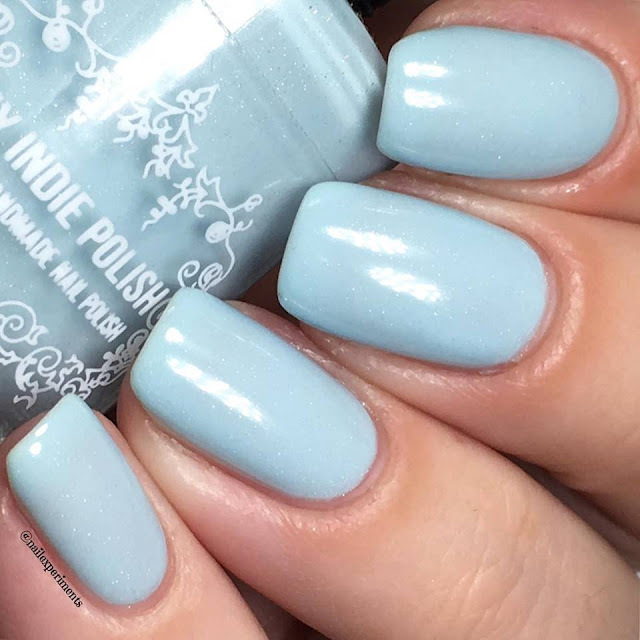 Described as a creamy sky blue with a bit of holo. The formula on this is smooth, creamy but just a tad thin. 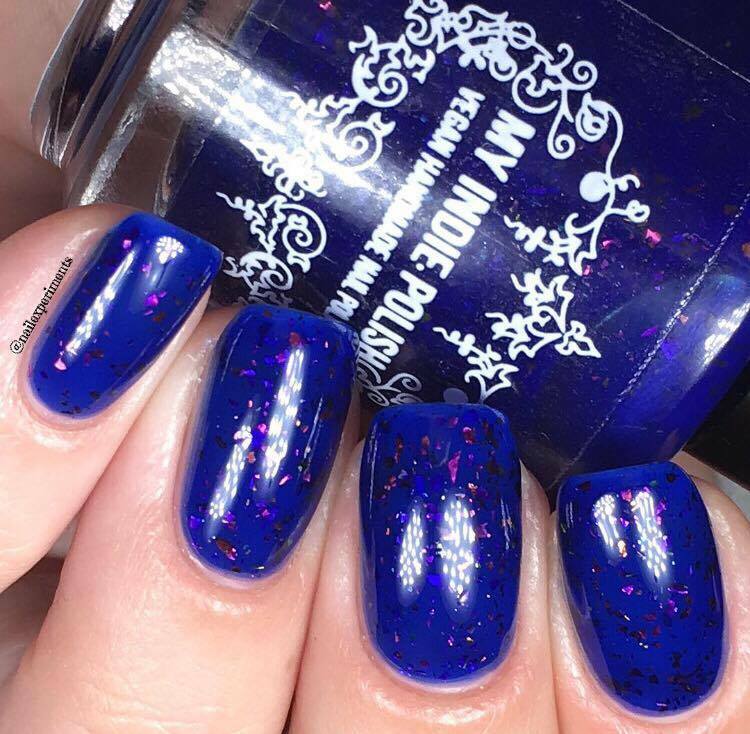 I was able to reach full opacity in 3 coats and sealed it in with a glossy topcoat. 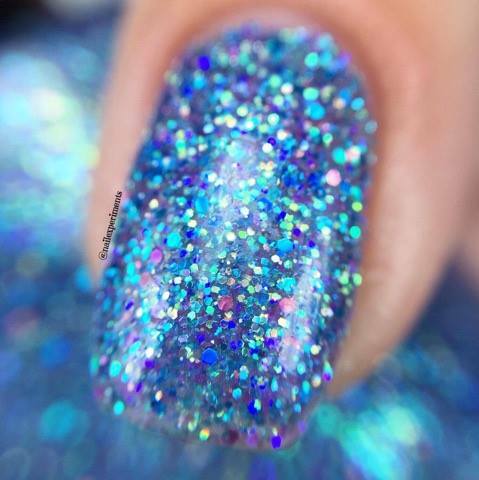 The holographic sparkle is very subtle and reminds me of the sun beaming down onto the beach waters. 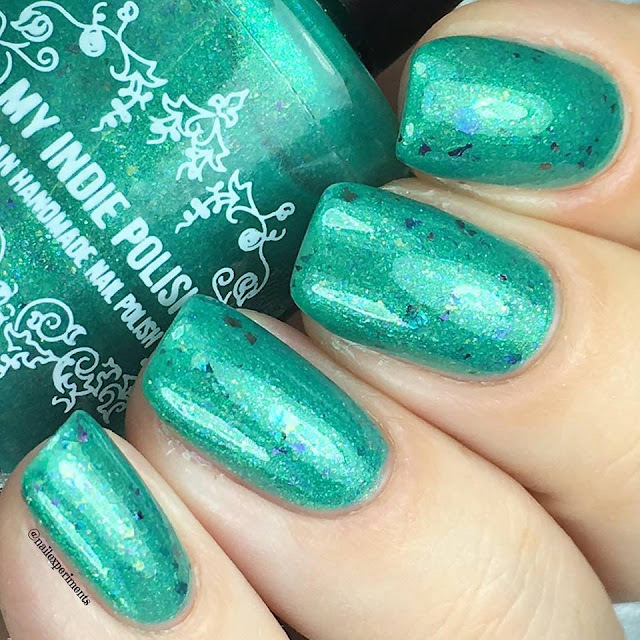 Described as a deep green with multi chrome flakies & glitter. This feels more so of a bright/vivid green vs deep, which makes me think dark. 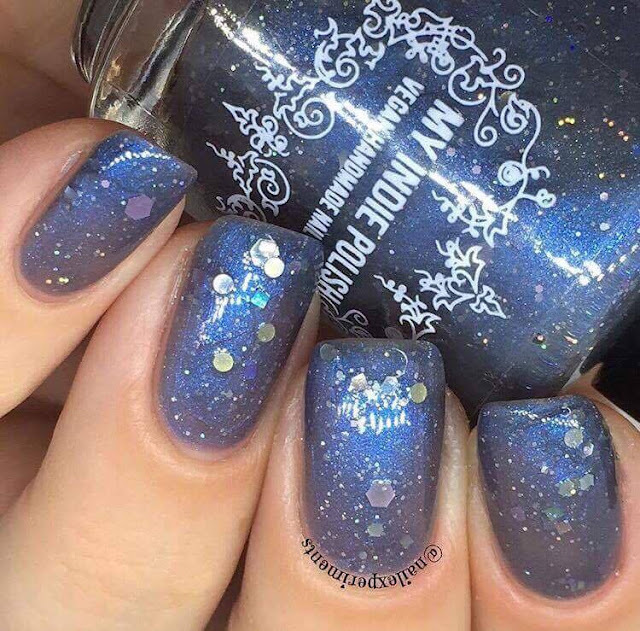 It's a stunning colour and appreciate the added in flakies, such a great contrast. 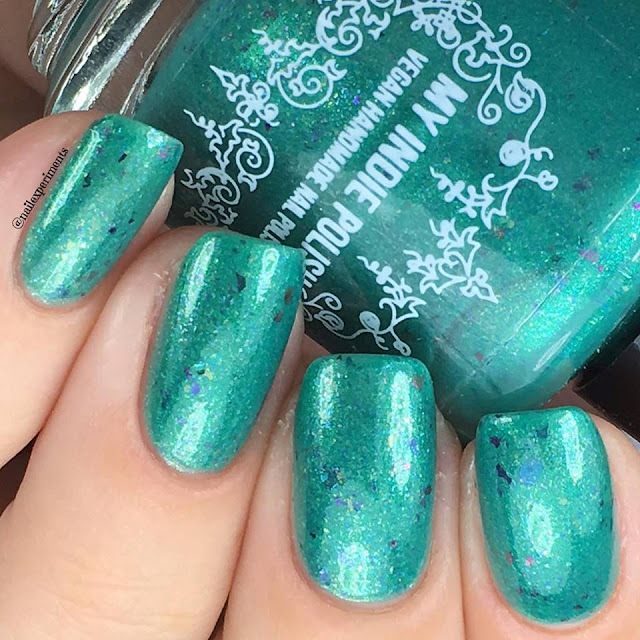 The formula on this was perfection having a smooth formula, didn't flood cuticles and stayed where I needed it to stay. 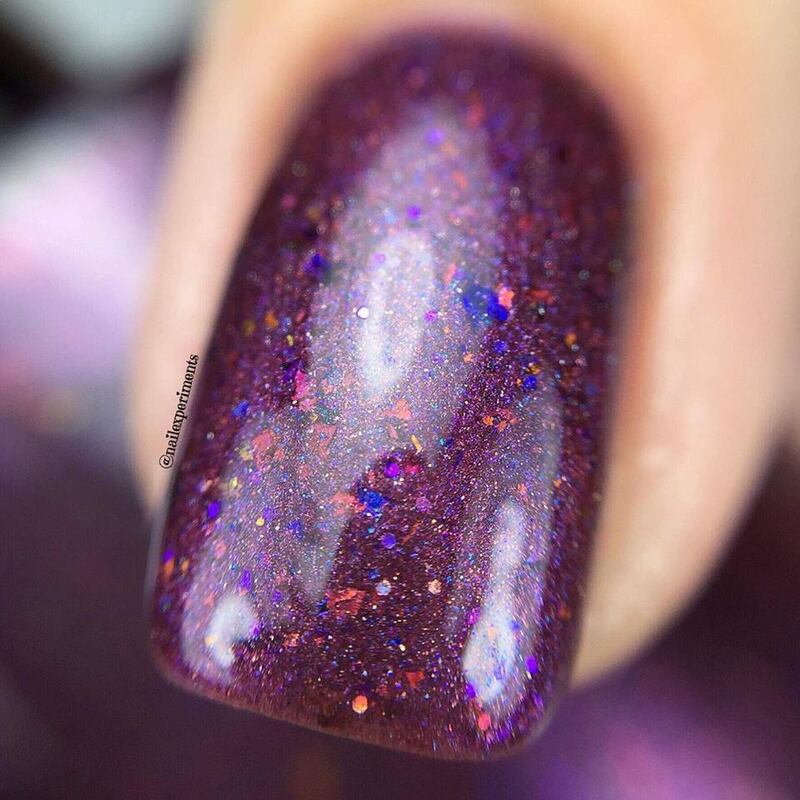 This was an easy 2 coater and sealed with a glossy topcoat. 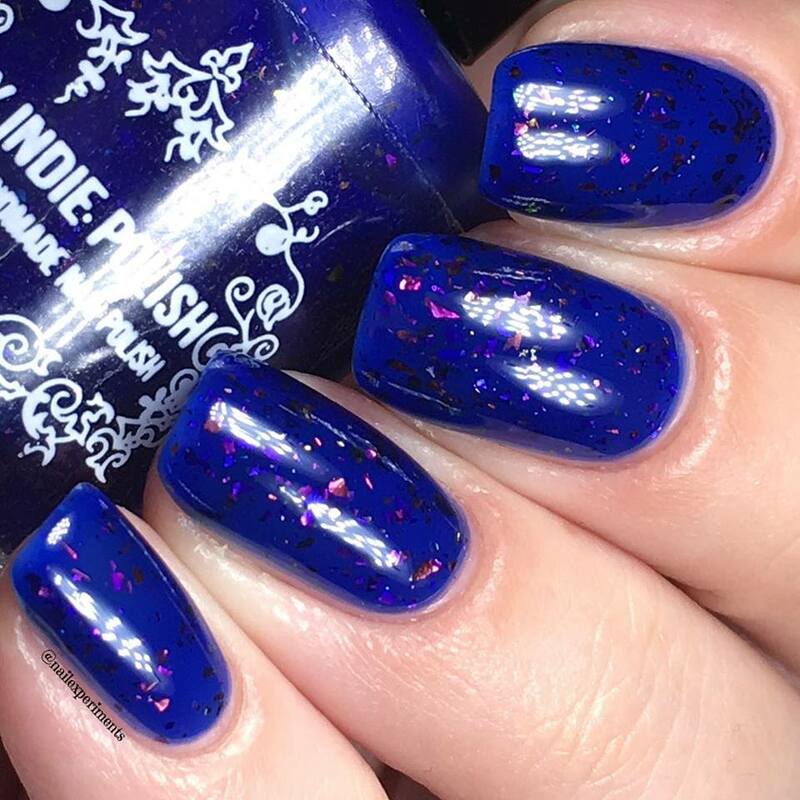 Described as a dark blue jelly with a ton of multi-chrome flakies. 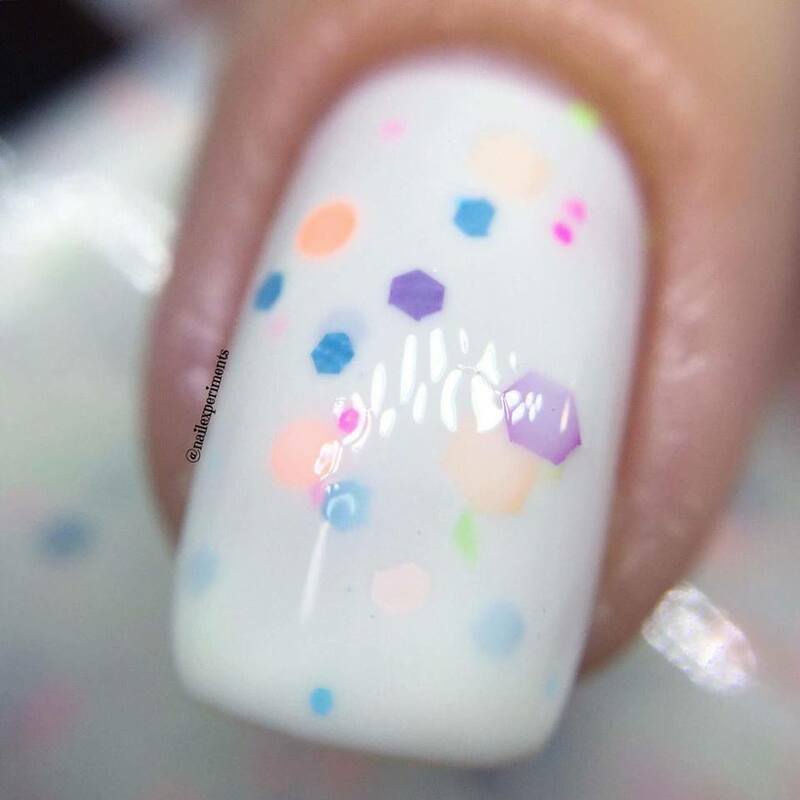 This jelly is incredibly squishy and dries down with high shine. A little shear in 1 coat but build up to my satisfaction 2 coats and sealed with a glossy topcoat. The flakie distribution was easy, no need to fish around with the brush. 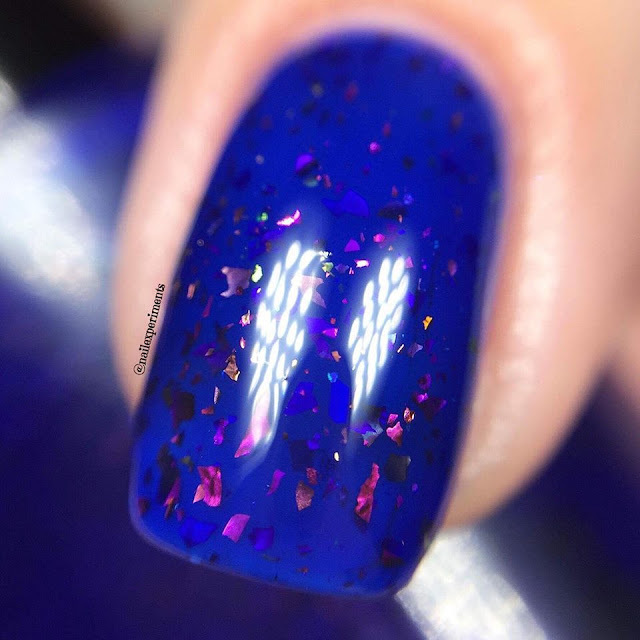 I'm seriously in love with how this replicates a pond mani, as you'll see in the macro shot how the under layer of flakies still shows through. CANDI - CHALLENGE NOW ACCEPTED NOW DESTROYING IT! 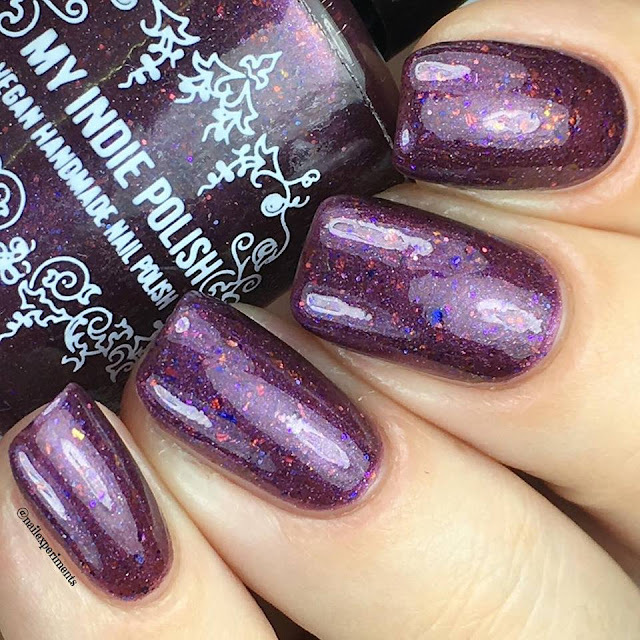 Described as a deep plum with so many glitters & mini UCC flakies. 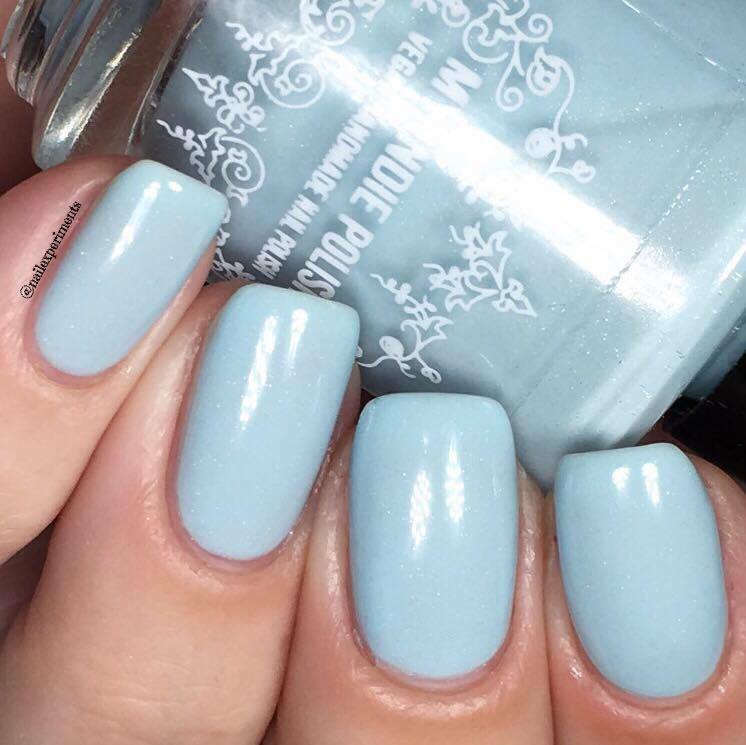 This polish has a very smooth creamy formula and didn't flood the cuticles. 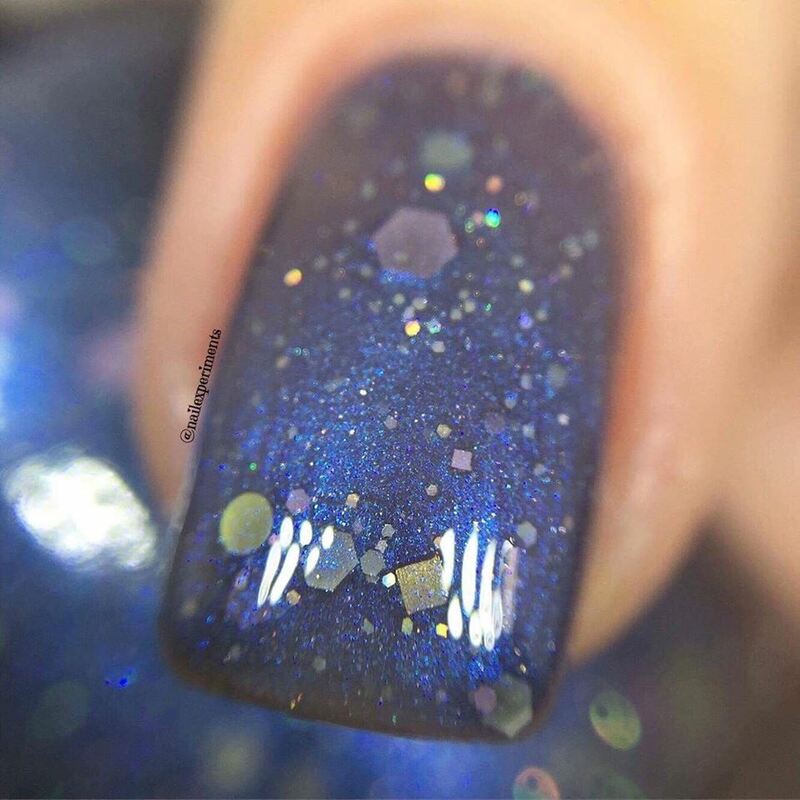 Even distribution of glitters and dried down flat. This was applied in 2 easy coats and sealed it in with a glossy topcoat. I love how rich this plum shade is, a definite favourite! Described as a iridescent blue textured glitter polish, opaque in 3 coats. The glitter combination in this is out of this world STUNNING and just feels so whimsical! 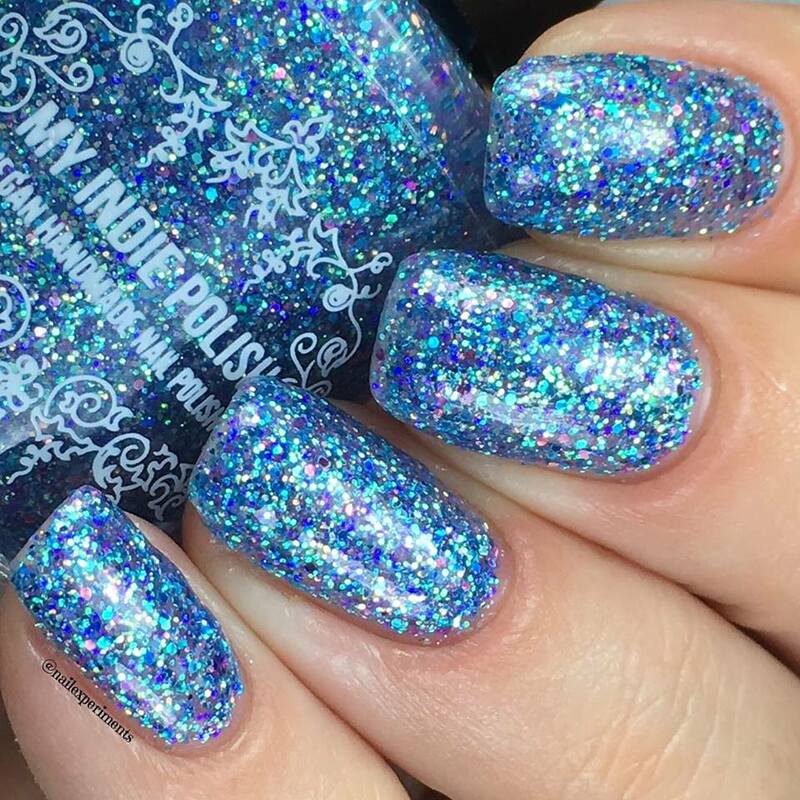 The glitters float within a clear base, found the formula to be a little thick but feel that's the normalcy within glitter bombs all around. 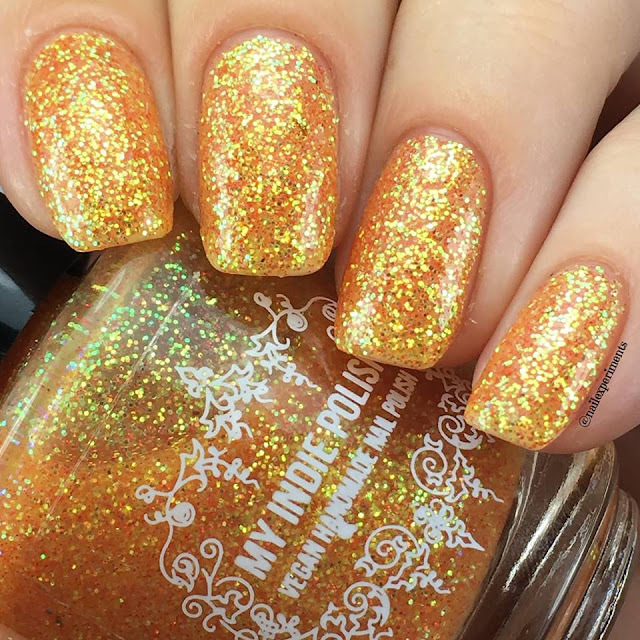 I applied the recommended 3 coats and found it to be quite thick. 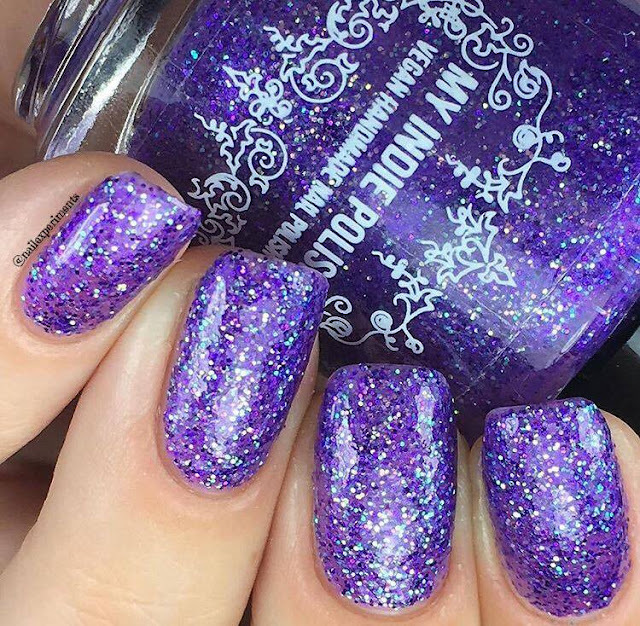 Had I originally know, I would have applied 1 coat, sponged on a second and glitters would have layed flat and dried down much quicker. This is a glitter bomb/textured polish, so it won't dry down to a smooth finish and sealed it all in with a glossy topcoat. I'm not a huge fan of glitter bombs but this one stole my heart and will definitely be wearing it again! 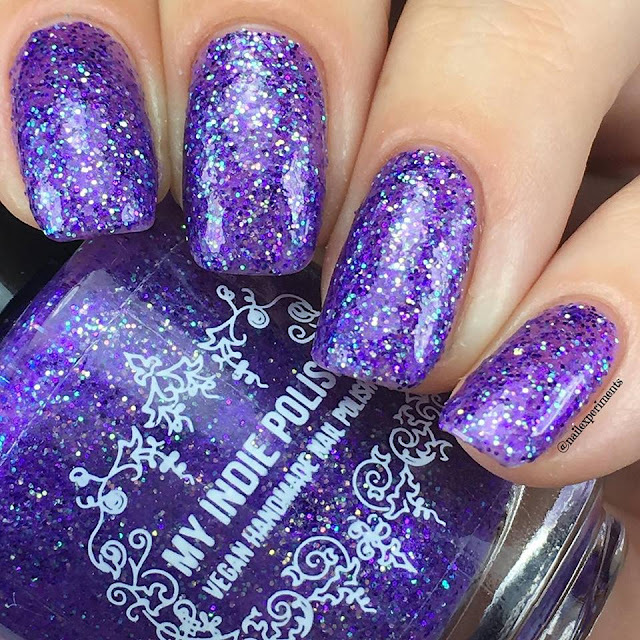 Described as a iridescent purple texture glitter polish, opaque in 3 coats. 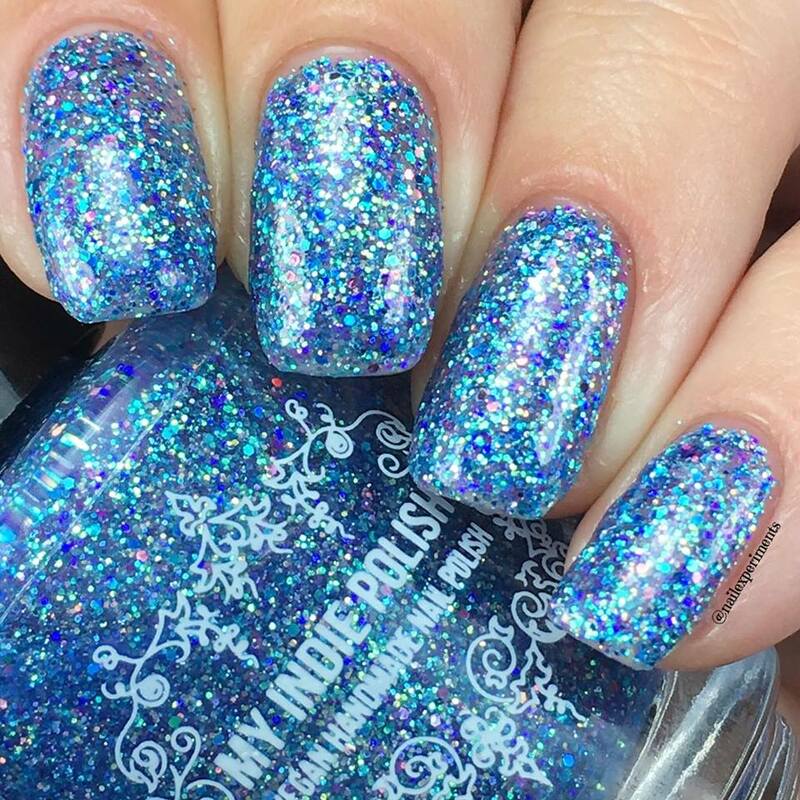 Just like the above Rouge Beach, it just gives me a magical whimsical vibe and absolutely love it! 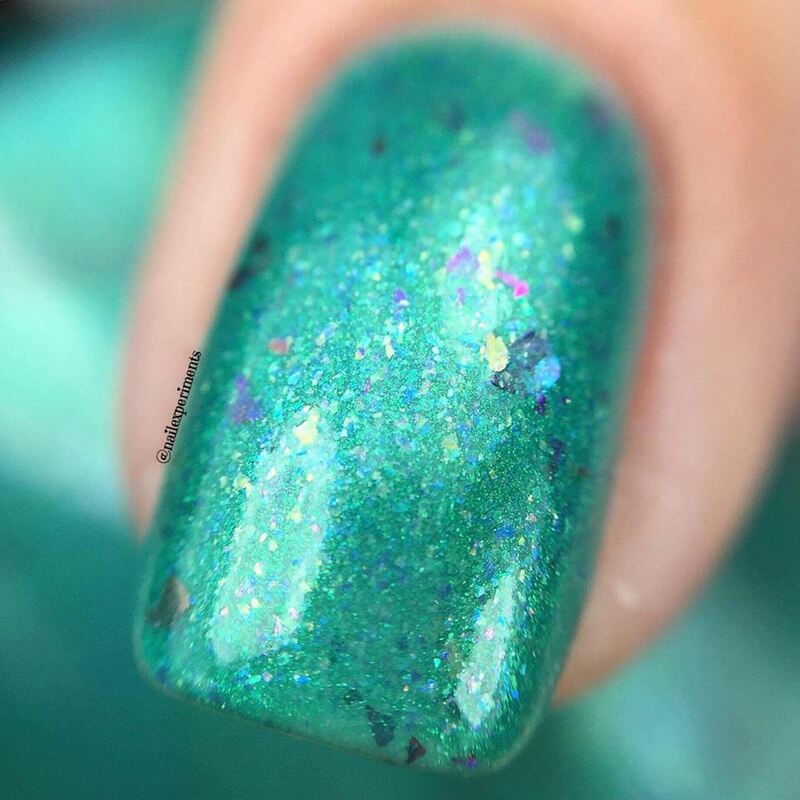 The formula on this wasn't as thick as Rouge Beach and was able to get opacity in 2 brushed on coats. 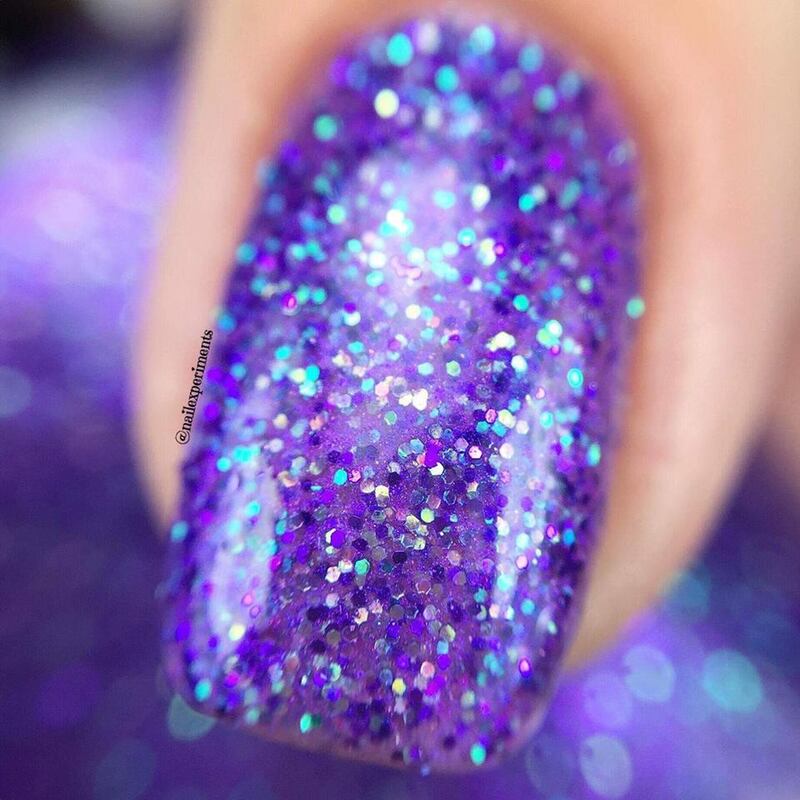 The glitters in this polish float in a very shear purple, almost clear base so that also helps with opacity. Allow to dry for a textured finish or seal in with a glossy topcoat (which is what I did). 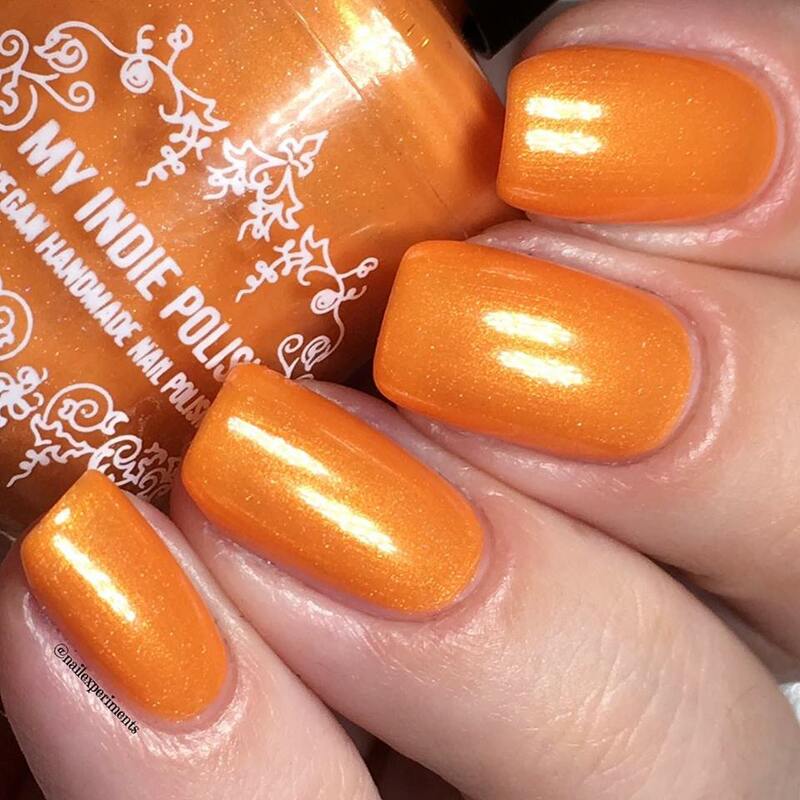 Descried as a iridescent orange texture polish, opaque in 3 coats. 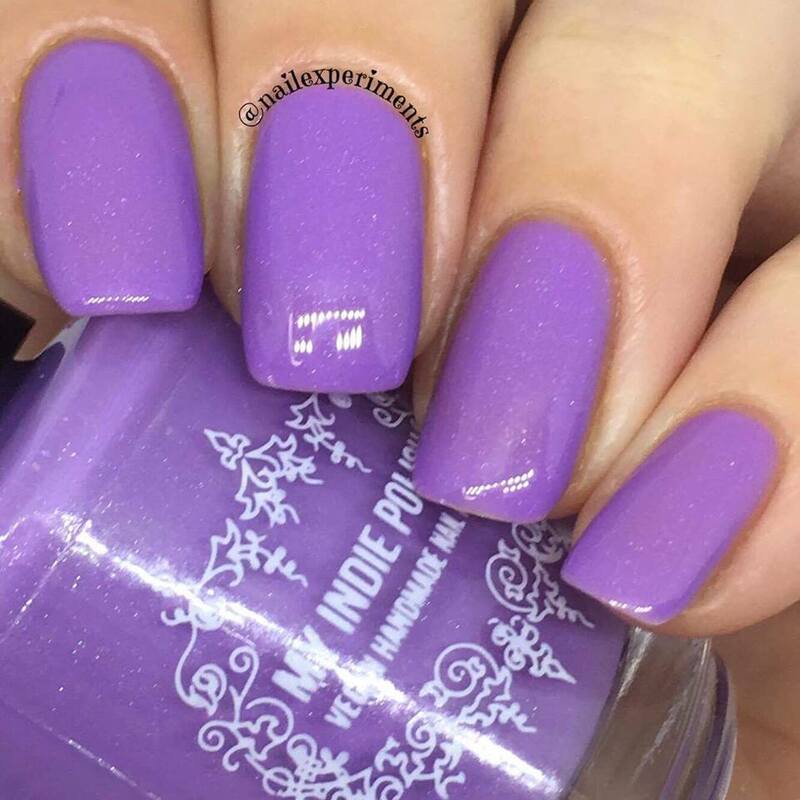 This formula on this was easy to work with and gained opacity in 2 coats. 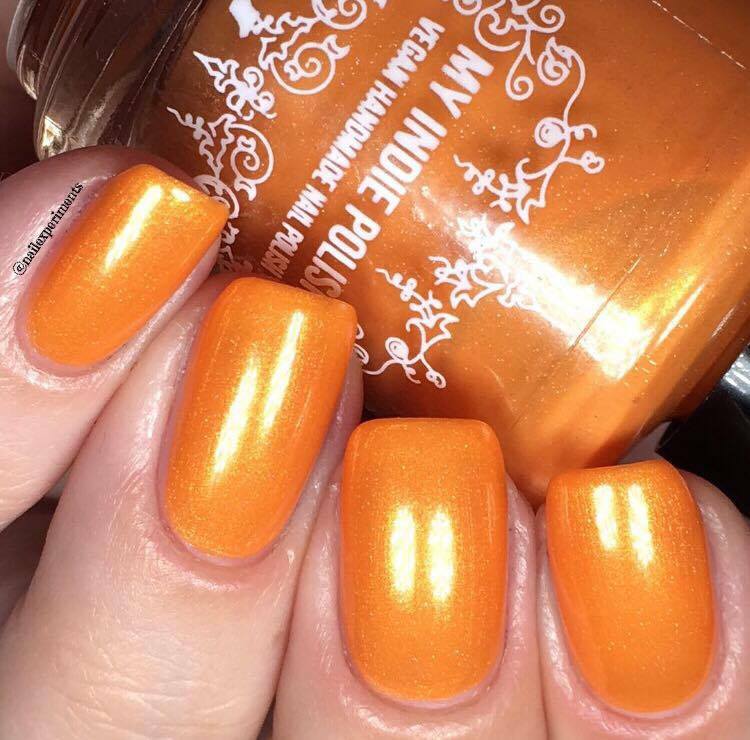 The glitters float in a shear orange base, which also helps with opacity vs a clear base. The formula is a bit thick, but still easy to work with. 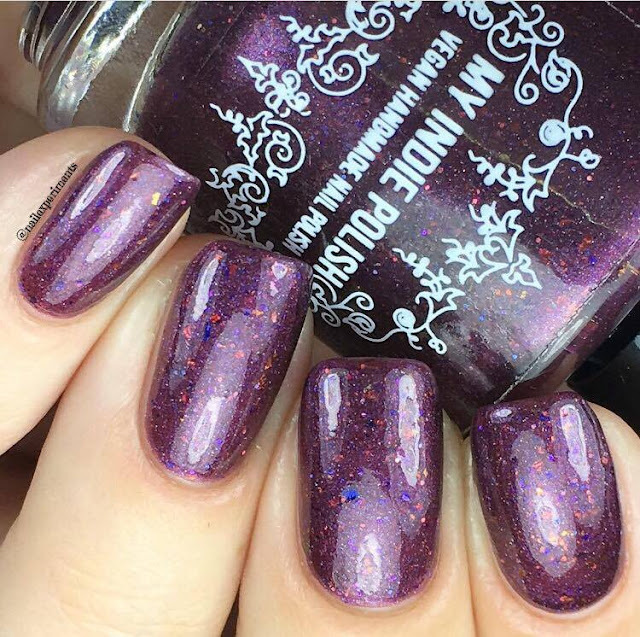 Allow to dry for a textured finish or seal with a glossy topcoat (which is what I did). 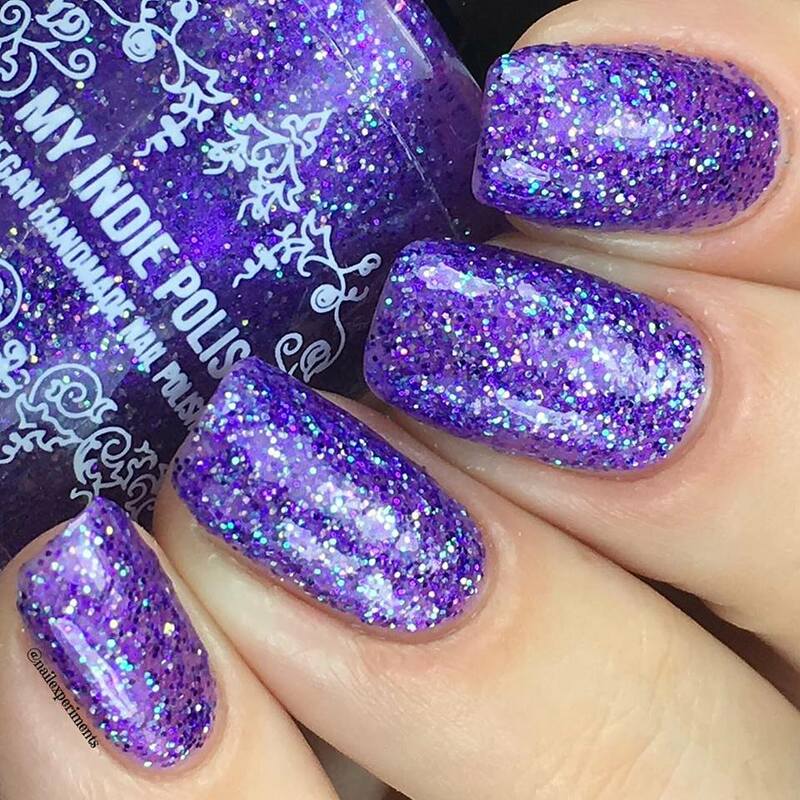 This textured polish is different from the above 2, as this doesn't have holographic glitters and has more of a glow feel. 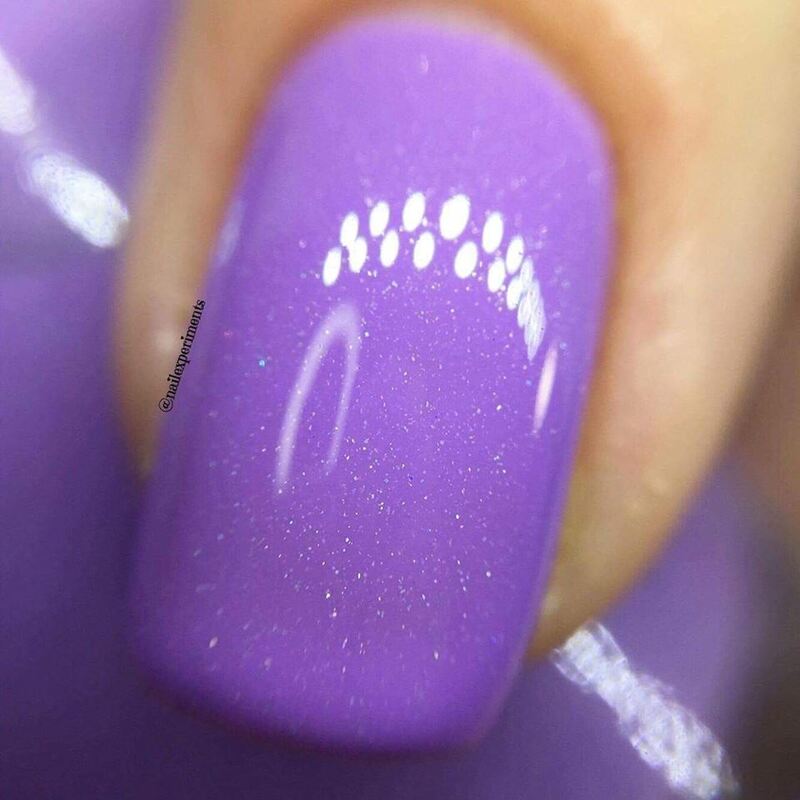 I really like the combination for what it represents. This would actually pair really nicely with Sightseeing On The Dvp, the orange creme shown near the beginning. 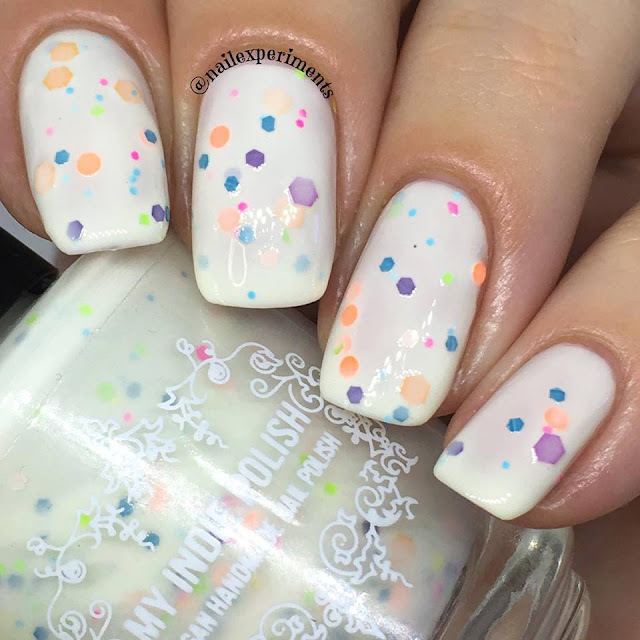 Described as a white crelly with lots of bright dots! The formula on this allowed for an opaque finish in 2 easy coats and love the look of the colourful matte glitters. 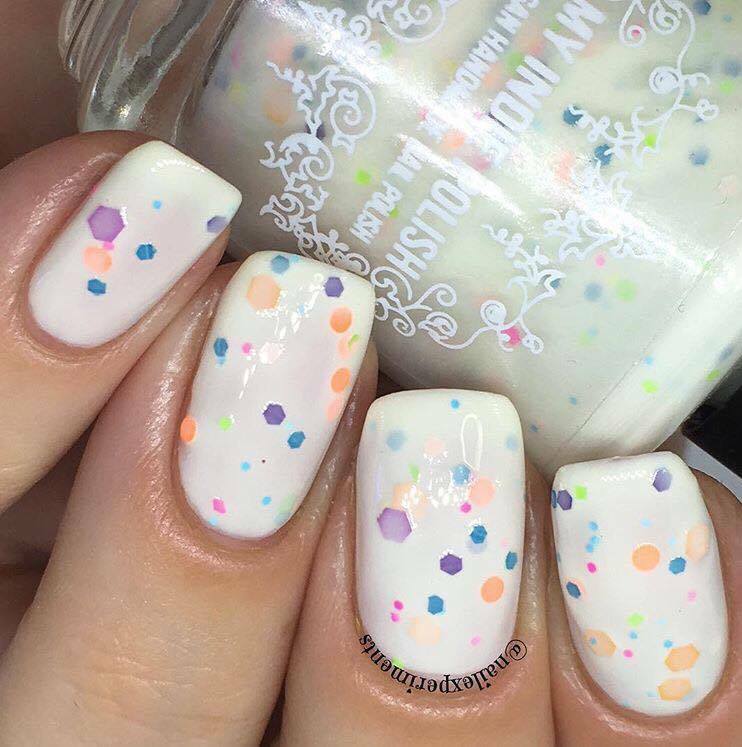 Such a fun polish! 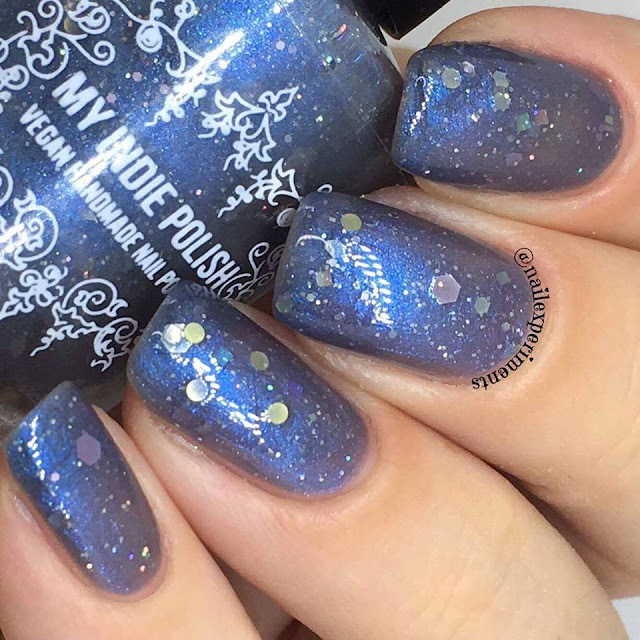 Described as a grey crelly with matte and holographic glitters. 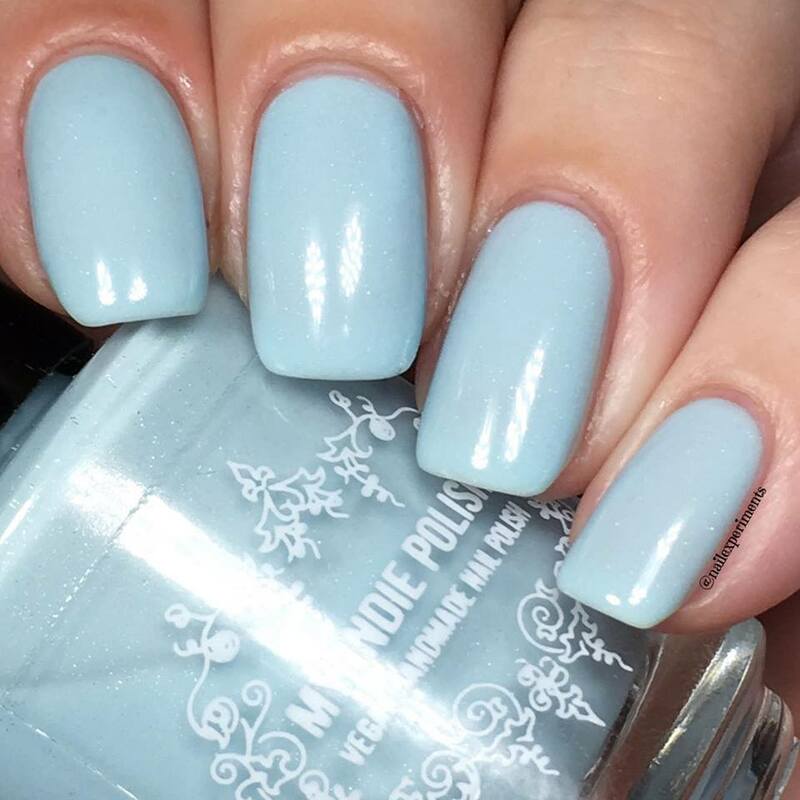 On the nail this shade translated more of a pale/off white grey vs the bottle. 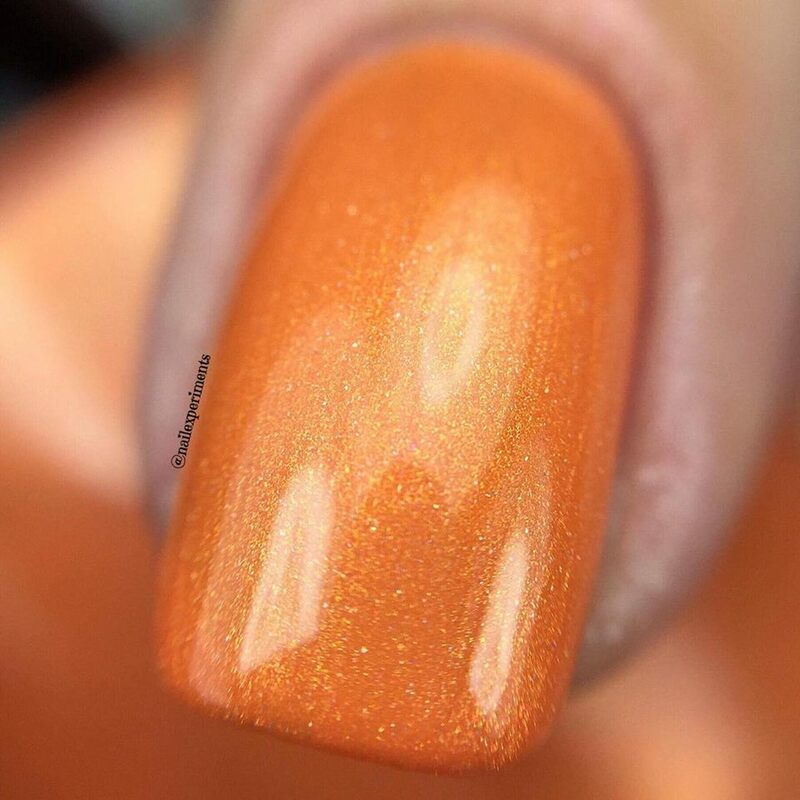 Formula is a little shear on the first coat and was able to build opacity by the second coat and sealed with a glossy topcoat. This polish has the most beautiful 'glow' about it and brings back a ton of memories of me skating around Nathan Phillip's Square. 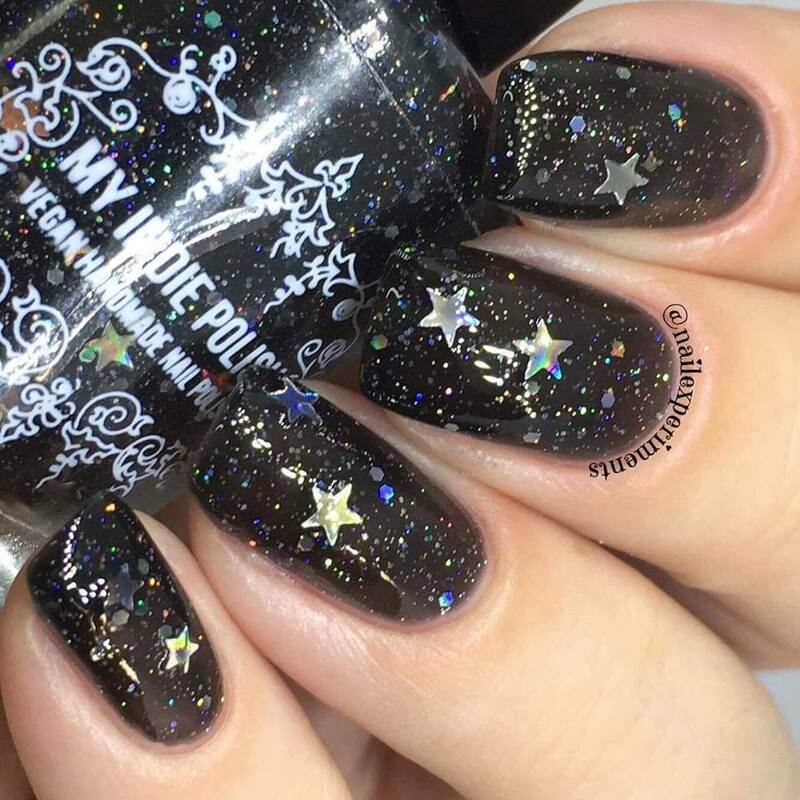 Described as a black crelly with silver holo glitter of all kinds. 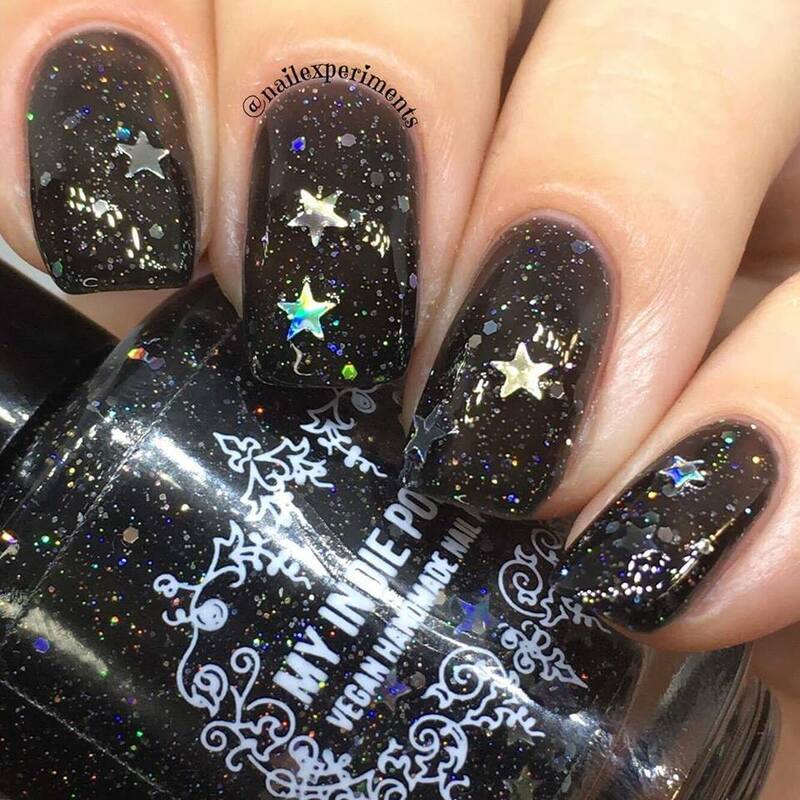 This applied nicely for me in 2 coats and really love the pop of star glitter! 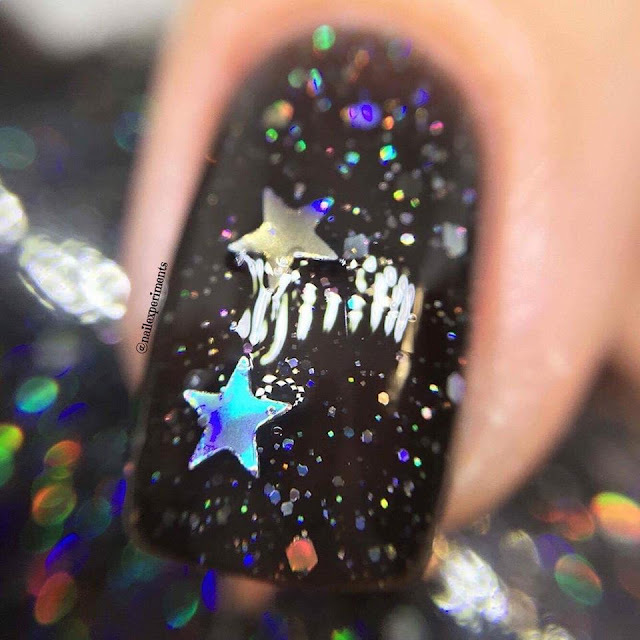 I had to mostly fish for the star glitters and would suggest keeping the bottle upside for 5-10 minutes prior to use. 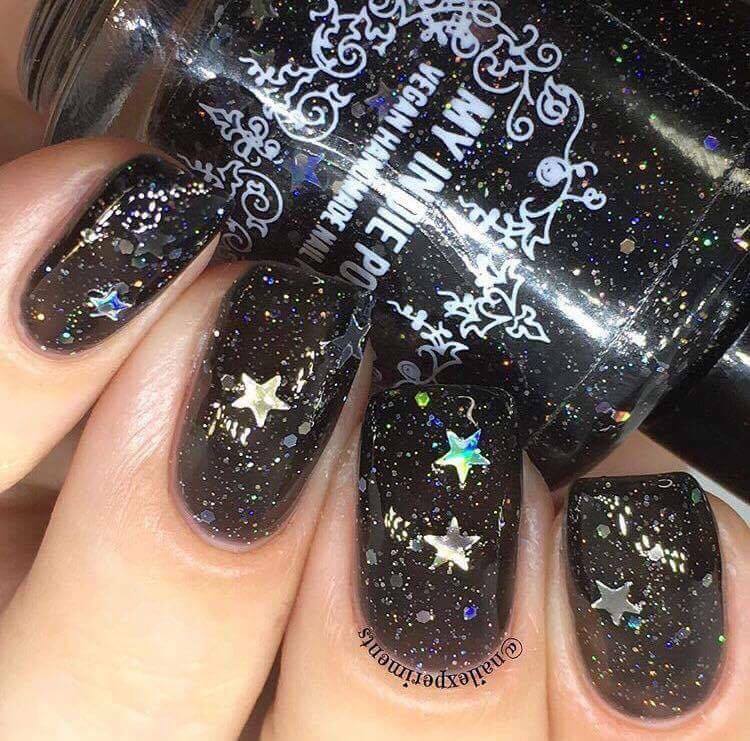 A very well done black crelly in my books! 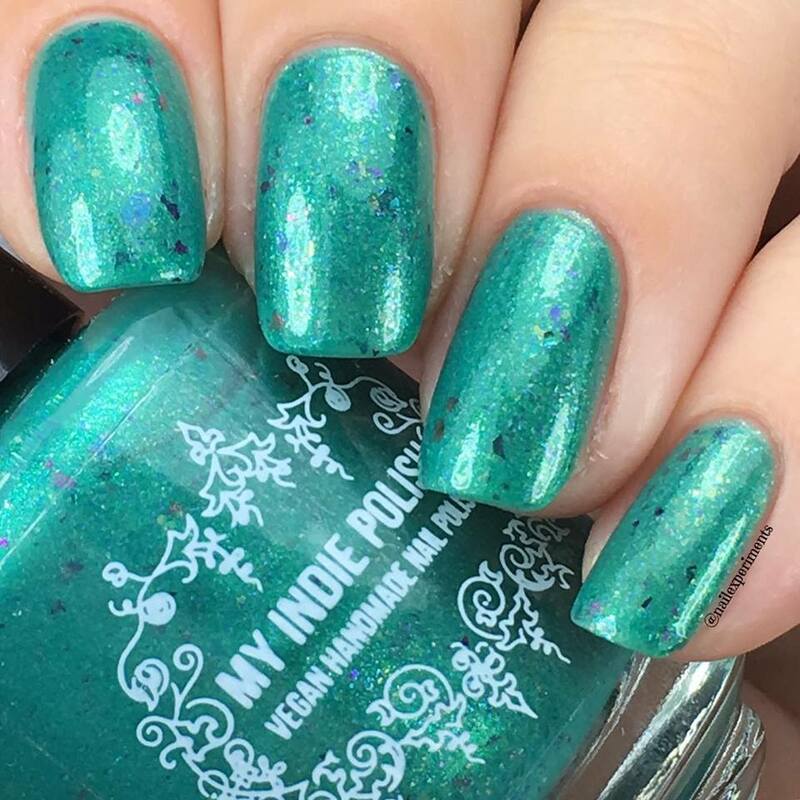 Bravo to My Indie Polish for creating this collection! 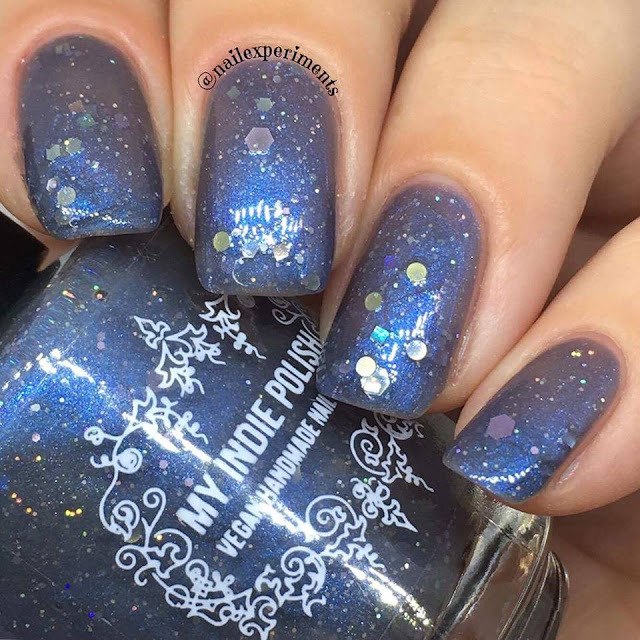 These polishes are all gorgeous! I was born and raised in Toronto and viewing this collection of neighbourhoods and places I know so well just warms my heart. I'm really into crellies these days and will definitely be picking up Pride 2017 (although I'm saddened with the politics of Pride this year, but ugh that's another matter) - must have it!